Have you ever noticed that you often spend much more time in a supermarket or department store than you intended to? Have you also noticed that you spend much more money than you said you would? This is because you have been enchanted by the special tricks used by store layout geniuses – tricks that keep you there longer and encourage you to spend more. Read on to find out how you can copy these tricks. Shoppers tend to want to shop by heading right and going counter clockwise rather than being forced to go the other way. This means shops that adhere to this layout sell more along the way. Shoppers forced to go clockwise speed up and spend less time looking around. Make sure that an attractive area exists to the left when they enter, such as flowers, fruit or seasonal ware. This slows them down immediately, preventing shoppers dashing round the shop and creating an excellent first impression. Successful shops have plenty of breaks in the aisles and rows, as shoppers get bored looking at one continuous aisle and are more likely to switch off. 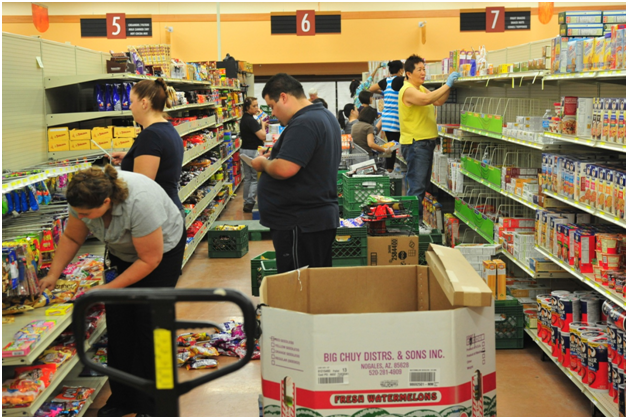 Breaking aisles into two or even three separate smaller aisles will help to renew interest in each new segment. 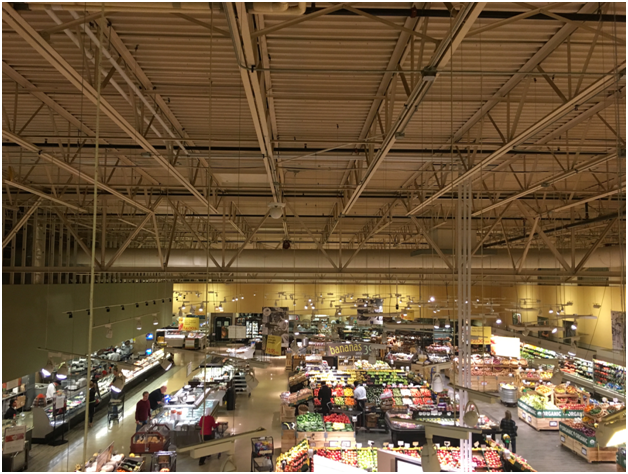 Angled aisles improve the visibility of products from the street and upon walking into the store. This is rarely seen in either large or small stores, but those that implement it find it has a positive impact. It is important that each aisle, row or display ends with the start of something else and not the back of a rack, the door to a store cupboard, or an empty shelf. Refresh customers with a new exciting aisle or display at the end of each one they finish. Layout tricks are just one way in which stores can increase sales. Other options include free samples, demonstrations, and in store media from firms such as https://moodmedia.co.uk/in-store-media/. Next time you wander around a popular supermarket, see whether there are any ideas you could apply to your own store to improve the layout. Ideally, you want customers to be impressed upon arrival and be kept interested for long enough to stay.